We are proud to announce that in October there will be Trieste Photo Days 2015, an international festival promoted by dotART and other Art Associations. If you are interested there is the chance to be part of the festival, even if you don’t take part in URBAN 2015. 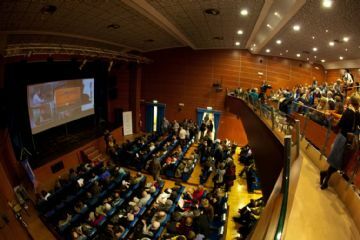 This is an Open Call for the event “Trieste meets the Multivision”, run by our project partner Merlino Multivisioni, that will end our Festival on Saturday, November 21st. Merlino Multivisioni is seeking for “video collages of photos and music”. You can watch a sample here. The theme is “Visual Instants in Street Photography”. If accepted by Merlino Multivisioni, your video will be displayed on the event, together with other videos of international artists. “Multivision” is a video collage of photos and music. Check out this sample. The theme must be “Visual Instants in Street Photography”. Upload your video collage on YouTube or Vimeo (or WeTransfer) and submit the url to iscrizione@dotart.it. If accepted by Merlino Multivisioni, your video will be displayed on the event, together with other videos of international artists. By submitting your project to Trieste Photo Days you are stipulating to us that you own copyright to these photographs, video and music, or have permission from the copyright holder to submit the project. You are granting Trieste Photo Days a non-exclusive license to use the project in its submitted form. None of the projects may be downloaded, stored, manipulated, distributed, or used in any form without prior written permission from the copyright holder.